Marriott has announced what appears to be one of the larger data breaches in history, a compromise that affects as many as 500 million people and stretches back to an intrusion in the company’s network in 2014. The breach is staggering in regard to both the number of people potentially affected and the length of time the attackers were on the network. Marriott officials said the intrusion occurred on the Starwood network some time in 2014 and the company only became aware of the compromise in September. Marriott and Starwood merged in 2016, and Marriott officials said the attackers were able to access a database on the Starwood guest reservations system. The company learned of the intrusion after an internal security system threw an alert about an unauthorized access attempt to the Starwood guest reservation system on Sept. 8. For 327 million people, information compromised in the breach includes names, home addresses, phone numbers, email addresses, some passport numbers, dates of birth, and some payment card information. For the other affected customers, the attackers only had access to names and some address and email address data. “Marriott learned during the investigation that there had been unauthorized access to the Starwood network since 2014. The company recently discovered that an unauthorized party had copied and encrypted information, and took steps towards removing it. On November 19, 2018, Marriott was able to decrypt the information and determined that the contents were from the Starwood guest reservation database,” the Marriott statement says. The company said that the payment card data stolen was encrypted, but Marriott officials aren’t sure whether the attackers were able to steal the private keys needed to decrypt the data. “For some, the information also includes payment card numbers and payment card expiration dates, but the payment card numbers were encrypted using Advanced Encryption Standard encryption (AES-128). There are two components needed to decrypt the payment card numbers, and at this point, Marriott has not been able to rule out the possibility that both were taken,” Marriott said. It’s highly unusual, if not unprecedented, for a company to signal publicly that encryption keys were taken as part of a data breach. Typically, companies will say that stolen data was either encrypted or in plaintext, but the mention of the possible theft of the encryption keys themselves is rare. Sophisticated adversaries can dig into networks and stay hidden for some time, as the Marriott attackers appear to have done, and study the environment as they look for valuable information to grab. "It all boils down to how intelligent the adversary is. If the adversary knew what he or she was targeting and had information about the behavior and environment and behavior patterns, it significantly reduce the chances of getting caught," said Itzik Kotler, CTO of SafeBreach, said. In today's atmosphere, everyone understands that they're a target. There's no downside for the attackers in owning your laptop or your network. There's always a reason for the bad guys to hack you. It's always valuable, one way or the other. Starwood has been affected by data breaches in the past, including one in 2015 that involved attackers planting malware on some point-of-sale terminals in some of the company’s hotel properties. That incident only involved a subset of properties in North America and the attackers were able to get payment card data from hotel front desks, gift shops, and restaurants. Big challenges. Shifting landscapes. And deepening worry lines. Welcome to the detailed breakdown of what keeps the tech C-suite up at night. 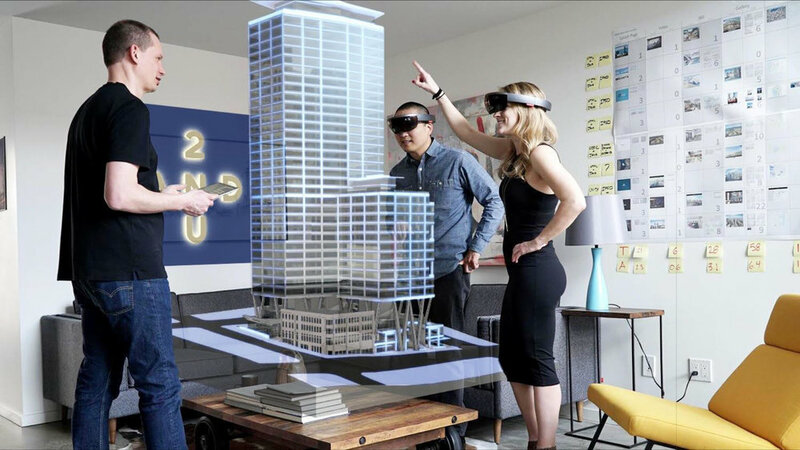 This story, "Microsoft's $480M HoloLens deal with US Army could boost AR adoption" was originally published by Computerworld. Microsoft is launching its collaborative Whiteboard app on Windows 10 today, and promising versions for iOS and the web soon. The app has been in preview for Windows 10 for the past seven months, and it’s now being made widely available on PCs alongside a new version for the web and iOS devices. Whiteboard lets users make notes on a virtual whiteboard that can be shared and edited with others in real time across devices. Upgrading these workstations so we can pass them on to non-profits. 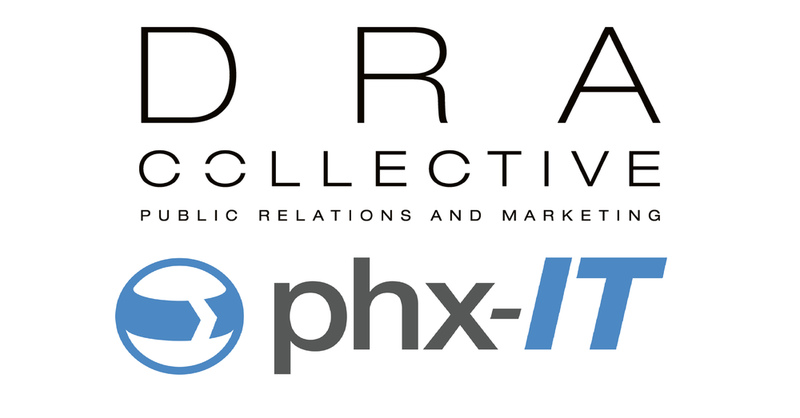 DTPHX is one of our awesome partners located in the heart of downtown Phoenix (Like us!). After a recent upgrade, DTPHX donated workstations for us to upgrade and roll back out as donations to non-profits around the valley! Aero-Zone's newest location in Shannon, Ireland. Another successful project at Aero-Zone’s newest location in Shannon, Ireland. We want to thank everybody at Aero-Zone Europe for the hospitality, showing us around County Clare, and for directing us to the best spots to grab a pint. We are proud to have them as clients and we are looking forward to our next visit! Impressed with the new spit and polish of Firefox Quantum? Or ready to return to the warm embrace of Safari? We now carry so much of our digital lives around with us in our browsers that switching isn’t all that straightforward—here’s how to make sure you take everything with you when you jump from one to the other. We’re going to arrange this guide by the name of the browser you’re switching to, but to a large extent, you’re restricted by the browser you’re switching from—some applications make more data available for export than others. 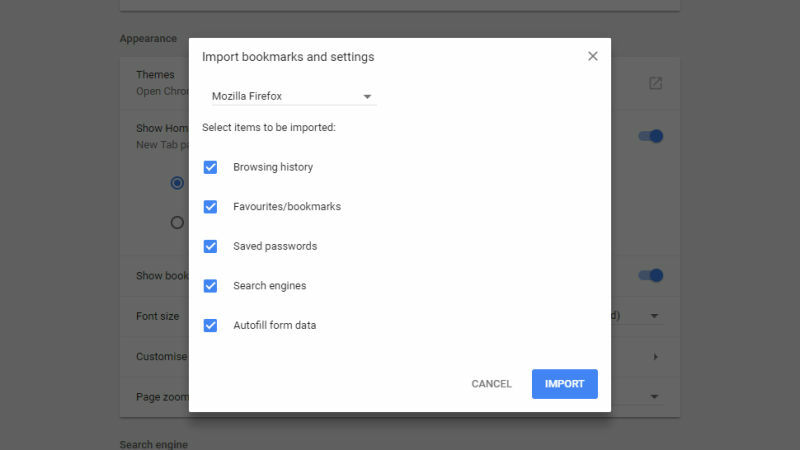 Open up the Chrome Settings tab and click the Import bookmarks and settings link that’s prominently displayed, and you can then choose which browser you’re moving from. Hats off to Firefox, which allows you to transfer browsing history, bookmarks, saved passwords, search engines, and even autofill data. If you’re (finally!) moving over from the creaking Internet Explorer, then you can move browsing history, bookmarks, and passwords. As far as the newer Microsoft Edge goes though, all you can transfer is bookmarks. Safari, like Microsoft Edge, only allows bookmarks to be moved over. There’s no option for Opera unfortunately—if you want to carry your bookmarks over, and that’s all you can do, you need to choose Menu, Bookmarks, and Export Bookmarks in Opera first, and then select Bookmarks HTML File in the import window in Chrome. Find the Import bookmarks and settings button under the Basic heading on the Settings tab. Again, you get a choice of browsers, with Chrome and Firefox being the most cooperative. They each allow you to transfer browsing history, bookmarks, passwords, and even stored cookies. Internet Explorer allows the same four types of data to be moved to your new Opera browser, but Microsoft Edge and Safari restrict you to just bookmarks. Pick your browser from the drop-down menu at the top, then choose your data, then click Import to confirm. If Microsoft’s latest attempt at a web browser has caught your eye, you’ll find the data transfer options by opening the app menu then choosing Settings and Import from another browser. You’ll be met with three options, plus the option to import (or export) bookmarks as an HTML file, if you need to. Internet Explorer is the friendliest of the other browsers, allowing bookmarks, browsing history, cookies, passwords, form data, and settings to be imported into Edge—just about everything then. Microsoft obviously wants to make the transition as easy as possible. 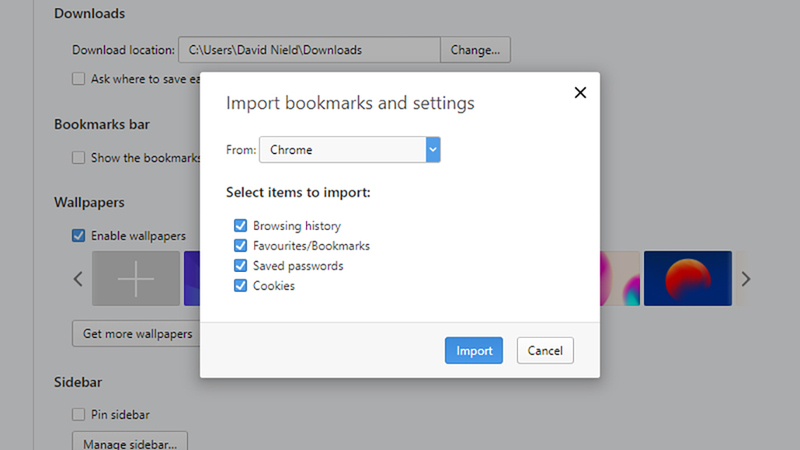 For Chrome, that selection shrinks to bookmarks, browsing history, cookies, passwords, and settings (no form data), though you can’t pick and choose, and on Firefox you can only move over bookmarks. If you’re switching from Opera, you need to export your bookmarks as an HTML file, then import them into Edge—that’s all you can move over. Firefox Quantum has a lot going for it and if you want to move over all your webby possessions to Mozilla’s browser then you need to click the new Library button on the toolbar (it looks like a shelf of books), then Bookmarks and Show All Bookmarks. At the top of the new dialog box, choose Import and Backup, then Import Data from Another Browser. 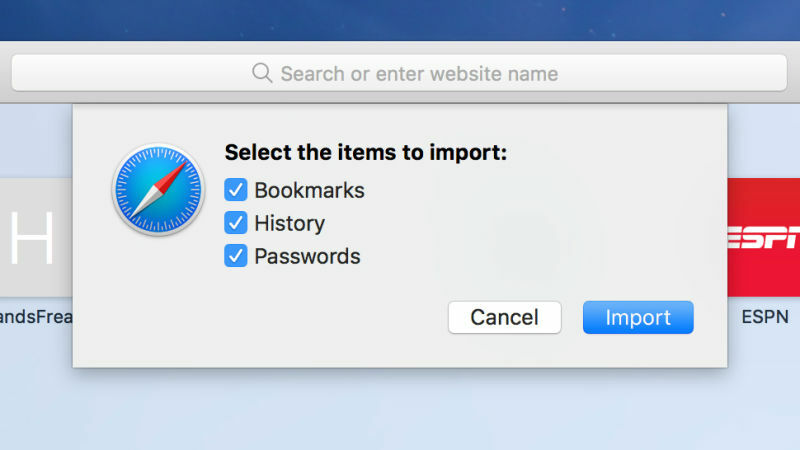 Again, Safari only allows bookmarks to be moved across, and in the case of Opera you you can only move over bookmarks: you need to manually export them as we described above, before choosing Import Bookmarks from HTML in the Import and Backup menu in Firefox. If you’re heading back to Safari on macOS for whatever reason, you’ll find the browser data import option by going to File, Import From, and choosing Chrome or Firefox from the list. Both options let you move over bookmarks and browsing history, but with Firefox you can transfer saved passwords too. On the same Import From submenu there’s a Bookmarks HTML File option, which you can use to import bookmarks from Opera or any other browser (like Microsoft Edge on Windows). These imported favorites appear in their own “Imported” folder in your Safari bookmarks. If your new browser of choice can’t natively transfer all the data from your old browser, then your options are very much on the limited side. You may well just have to bite the bullet and leave your browsing history or your saved passwords behind, if they’re not covered in the options we’ve mentioned above. You can’t get any browser extensions to plug the gaps, for example—even when export tools are available, like this history exporter for Chrome, you’re not outputting data in a way that other browsers can then import. However, there are tools that can help you next time you bail from one browser to another: If you want to future-proof your passwords against any browser switching you might want to do in the years ahead, install a dedicated password manager like 1Password, Keeper Security, Dashlane, or LastPass. These apps work across multiple browsers and multiple platforms, so your passwords are saved independently of your browser, and can move with you. The likes of Dashlane and LastPass can store other form data too, like addresses and payment information. Finally, if you go all-in with Google, you can take your passwords and browsing history with you from browser to browser, to a certain extent: Your saved passwords are always available at https://passwords.google.com, and your browsing history is at https://myactivity.google.com/myactivity, as long as you were signed into Google when doing the searching. These web apps of Google’s won’t integrate seamlessly into your new browser, but they can act as a stopgap until your new software is completing your URLs and filling out your login details like you need it to. Philanthropist and inventor Bill Gates paid $80 million to kick start a a smart city. Aeronautics giant Boeing is acquiring Aurora Flight Sciences, a company focused on the development of autonomous electric aircraft. The move confirms Boeing’s commitment to bringing their first self-flying commercial passenger vehicle to reality. Aurora won a significant amount of acclaim in 2016 when the Defense Advanced Research Projects Agency (DARPA) awarded them a contract to help build the vertical take-off and landing (VTOL) X-Plane. Uber also enlisted Aurora Flight Sciences’ help on their Uber Elevate flying taxi project. The acquisition will bring together the expertise of a proven autonomous electric aircraft maker that has built and operated more than 30 pilot-free vehicles in their 20 years of existence and the financial muscle of Boeing, which has been invested in aeronautics for more than a century. This melding could very well lead to the first fully autonomous electric aircraft. The development of flying vehicles is likely to continue trending upward, especially now that Boeing has been announced as the sponsorship of a $2 million contest to deliver the next generation of flying machines. Airbus, another aviation giant, is also working on VTOL taxis, which could be flying high as soon as next year, so we shouldn’t have long to wait before personal transportation gets a major lift skyward. What ever happened to just service? Software as a service(SaaS)? IT as a service(ITaaS)? Anything as a service(XaaS)? Whatever happened to just service? 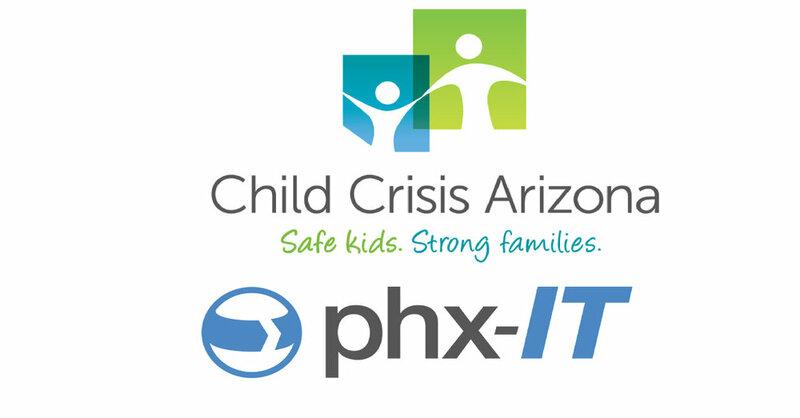 At phx-IT service is what we focus on to make sure your business is running smoothly. Give us a call to find out how we can take care of your IT. There’s a saying among Russian advertisers: “the best idea is to rent the Moon.” Fortunately, the Moon isn’t for sale, but space itself is up for grabs, so companies and amateurs are now launching dozens of small satellites (smallsats) into orbit at a time. You can’t see most of these satellites from Earth, but for the next month a smallsat developed by students at the Moscow Polytechnic University may be visible to the naked eye. In fact, if all goes well for the team behind the project, it will be the second brightest object in the night sky, second only to the Moon. It’s an ambitious, largely crowdfunded endeavor led by a Russian advertising agency 12.digital that says its goals are to inspire interest in space, test science instruments, and perform a bit of advertising for its biggest investor. Mayak received a free ride aboard the Soyuz rocket, thanks to support from Russia’s Roscosmos space program. Roughly 60 percent of the project was supported through crowdfunding, with the rest coming from a sponsorship with a banking startup appropriately named RocketBank. 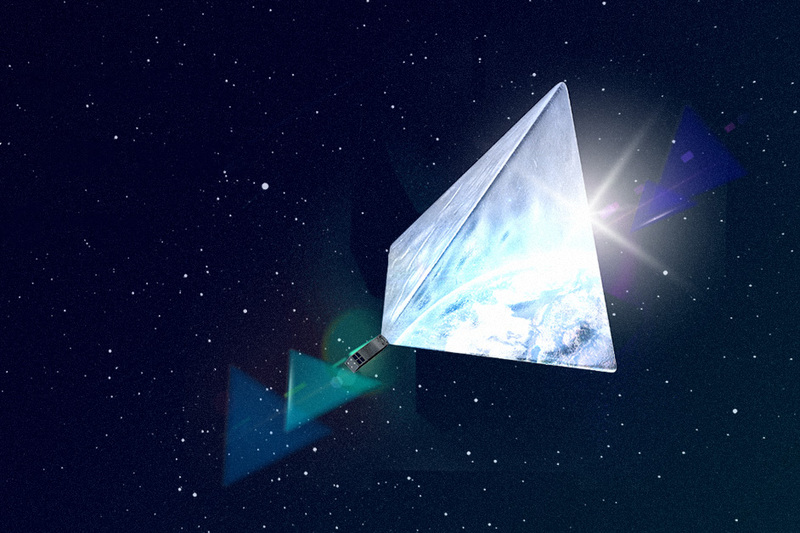 For its sponsorship, RocketBank will brand Mayak as the “Cash Back Star” for its 200,000 users. However, 12.digital insists it’s not just about the advertising. “We’re an ad agency but we realized we’re interested in some technologies and we met some young engineers and decided to work on this project together,” says 12.digital partner, Nik Ershov. Nonetheless, it’s tough to deny the potential for space advertising and the Mayak stands as an example of how companies may capitalize on the open space above us. The satellite will orbit Earth about sixteen times every day, Ershov estimated, and should be visible from regions around the globe. The team has also released an app to help users track the Mayak in real time. Atari is on a roll lately. The company made a splash at E3 last month with the announcement of its new Ataribox connected console, and now the classic brand is entering the wearables market with perhaps its oddest product yet: Atari Speakerhats, powered by Audiowear technology. The first three baseball cap styles will debut at San Diego Comic Con this week, and special edition Blade Runner 2049 Atari Speakerhats will be available in conjunction with the much-anticipated sequel’s release this fall, along with other wearables. Michael Arzt, COO of the new Atari Connect division of the iconic brand, told Digital Trends that a variety of these hats will launch later this year. The ones debuting at Comic Con include a New Era-style baseball cap with the name “Atari” on the front, available in blue and black, as well as a black-on-black verision featuring the company’s “Mt. Fuji” symbol. The Audiowear Speakerhat is designed to be ultra-thin and lightweight, with all the fancy tech seamlessly integrated into the form factor of a cap, an Audiowear representative told Digital Trends. Under the hood you’ll find a set of proprietary high-fidelity stereo speakers, a microphone, and a rechargeable lithium ion battery to keep it all running. The hat can also connect to any Bluetooth-enabled device (smartphone, tablet, personal computer, etc.) to play music or other audio, initiate or accept phone calls, receive voice commands, and more. Audiowear’s Social Synchronous Broadcast technology will allow multiple Speakerhat users to simultaneously listen to a single audio stream in perfect sync, which Arzt said provides a fundamentally new social audio experience. “Gamers can hear the same thing at the same time and also communicate and hear each other through the hats,” Arzt added. But of course, there’s still some work to be done. Audiowear says the hats are a work-in-progress, and the company plans to continuously improve the design and engineering until the technology is completely invisible. While no official release date has been revealed yet, Atari is offering fans a chance to win one of the hats (link) and participate in the beta testing phase. Arzt said Comic Con was chosen for the global debut of these Speakerhats because the Atari brand is loved by so many creators of pop culture, including TV producers, filmmakers, and musicians. This is all just part of the company’s larger comeback plan. This is all just part of the company’s larger comeback plan. In addition to the Speakerhats, there’s the At Games collection of Atari Flashback plug-and-play consoles with up-rezzed versions of Atari 2600 and 5200 games packed in. A new collection featuring Activision classics is heading to retail this fall. Atari classic games from Centipede to the more recent Rollercoaster Tycoon are making their mark on mobile devices. There’s also movement in Hollywood for Atari’s library of over 200 games. Media Fusion is developing “Game On,” a reality game show challenging contestants to navigate life-sized sets based on classic Atari Games in South Africa. They’re also turning “Codebreakers” into a TV series with Discovery in Europe. And the last piece of the business is the hardware. Arzt also said that Atari isn’t going to compete directly with the established giants of the video game business like Sony, Nintendo and Microsoft. Atari is also developing additional wearables, as well as some connected home products that will link to the upcoming Ataribox and other entertainment devices. So don’t be surprised if you start seeing a lot more stuff from Atari rolling out over the next year, as the once-giant video game company reinvents itself with new IOT devices and wearables alongside connected consoles, fashion, and merchandise.